Have you read the blog post “What Everyone with Diabetes wishes you knew“? Go and read it if you haven’t. Bring tissues. 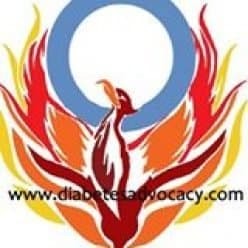 After I wiped away the tears, I began to think about “what parents of children with diabetes wish you knew.” Some of us don’t have diabetes ourselves but we still have very strong feelings about the issue. As parents of people with diabetes, we have things that we wish our children knew. There are also things that we wish that the general public knew. Parents of children with diabetes wish that the our children with diabetes knew that…. We would take this disease from them in a heartbeat…a heartbeat. With every tear that they shed, we have privately cried a hundred more… We didn’t want you to see how much it hurts us to hurt you. We told you that we do this to keep you healthy and alive (and we do) but it kills us too. No matter how old you are, we still want to “make it better”. Seriously. Still. We know that you can handle it. We just wish that you didn’t have to…As parents of children with diabetes, when we were completely responsible for your care, we got tired and wanted a break. We understand that you, as the person with diabetes must feel the same way at times. We wish we could carry the burden for you. Even when we don’t ask you how your readings are, we are still wondering if they are okay…We know that you are more than a number. As parents of children with diabetes, we understand that blood glucose levels are only part of the story but we want you to be okay. We want to know that the readings are okay as well. We have watched you sleep and cried at all of the holes that we have put into your body just to keep you alive. Every night that we sat awake waiting for your blood glucose to rise or fall, we did from love and a need to keep you safe. When we nag at your for not testing, injecting or rotating sites it’s because we want you to have a long and healthy life. It’s not that we love the sound of our own voices. It’s not that we think you don’t have a clue. As parents, we know that life happens and people forget. We just want to help. If you need us to, we will still help you with any care or night testing. Ask. We might be out of practice but we are quick studies. We will help you any way and any time that we can. It’s just what parents do. Even if you aren’t my child and you live with diabetes, I wish I could take it from you. Honestly, I wish I could help you carry that burden for a week and let you breathe. I have told you this before and I mean it. I don’t care how old you are. You are someone’s child with diabetes. You carry the same burden as my own child. It still kills me. I wish you didn’t have to carry so much “gear” with you when you go out. I wish you knew the luxury of just grabbing your wallet and keys and heading out the door without concern for insulin, pump, glucometer and glucose tablets. We wish for a cure too. Until it arrives, we will work with you to have the best care, the best knowledge and the best tools that we can afford. Type 1 is not the same as type 2 diabetes. Each disease has its own challenges and issues. We did not cause our children to develop diabetes. Seriously, we carry enough guilt about not protecting our children from an invisible disease. Your added blame is not required. It is okay for our children to have treats now and again, the same as your children do. No child–or adult should live on junk food but a cupcake now and again will just brighten someone’s day…or raise a falling blood glucose level. Insulin is not a cure. It just keeps my son alive…and can kill him. It is a carefully managed tool that he use must use at all times. An insulin pump is not a cure either. A pump is an expensive tool that not everyone can afford. Even for those lucky enough to be able to use one, there is still much work to be done to be safe and healthy. Diabetes is expensive. Let me repeat this….diabetes is EXPENSIVE. There are many great advances in diabetes care but they are only available to those with excellent insurance or deep pockets. The cost of diabetes supplies can range from the equivalent of a car payment or mortgage payment each month. Again, that is just for a person with diabetes to stay alive. Worrying isn’t about being an overprotective helicopter parent or because I have nothing better to do with my time. I worry because diabetes is deadly. Errors in insulin, errors in tools or simply changes in activity levels can have lethal consequences for people with diabetes. This isn’t just talk. This is real. I have lost friends to this disease. Parents of children with diabetes have seen their children die because of diabetes. Diabetes kills. It is a scary disease. As a parent of a child with diabetes, I hope both my child and the general public know that I will continue to work hard every day to improve the lives of people with diabetes. I will offer a helping hand, a strong shoulder or the voice of experience where necessary. I will continue to dream of a day when we can say that we are parents of children cured of diabetes. Parents of children with Diabetes are and will always be our true heroes. I’ve noticed that the impact of knowing someone with type 1 diabetes stays with the person intimately involved with his care for years after the relationship has been severed. One expert on diabetes managment said that the parents seem to be suffering from PTSD a year after diagnosis. I think maybe it goes on longer than that. If I’m not vigilant because I get distracted by something else like writing this or my husband is out of the house a bit too long, I find myself starting to worry with a jolt. When was the last time I had a smooth eventless day? . . . I can’t remember. Love this! I was diagnosed at age 5…in 1970! Yes, my wonderful parents are my heroes!!! Wow my prayers go out to the children and the parents! What in insightful article! Thanks for sharing. Excellent article. It really hits home. My daughter is my 6 yr old grandson’s caretaker and advocate. She lovingly takes care of him and her 4 yr old daughter who has peanut allergies. She never complains though she hasn’t had a full night’s sleep since his diagnosis at 3 years of age. I wish I could somehow transfer his disease to me so that he could enjoy life without needles- testing and having to ask if he could eat yet knowing he must have insulin to survive. I pray everyday for a cure for him and all type 1’s. I am now 63 years old, and I’ve been diagnosed since I was 11 years old. My parents suffered from terrible guilt and grief from knowing that they had passed on this genetically disposed disease. Both their Dads were Diabetic, and died from complications of the disease, likely helped by poor control. I was born in an amazing time, and I have NEVER felt sorry for myself, although I had a short period during college when I acted the fool and drank and ate everything “bad”. My doctor told me I was selfish, I agreed, but didn’t change behaviors until my first child was born. Thank you, God, for sending wisdom with love for our kids! Which brings me to our 27 year old son who was recently diagnosed with Type 1 Diabetes. I had 4 and a half minutes of guilt, but many more minutes of grief. Than I picked myself up and dusted off my selfishness by changing my thoughts from love with grief, to just plain love and moving forward. Fortunately, I just described our son who did not fall from his parental trees. This young man is extremely independent which we appreciate, but I’ll tell you that we’d like a little more info about his glucose readings, et al. Listen, I was born into a time of fantastic Diabetes progress. I can still remember the glass syringe, and checking my glucose levels by using a combination of Benedict;s solution and urine in a test tube, and boiling it, and, oh by the way, A1C hadn’t even been invented, yet. This story turns out well. Ups and downs, maybe, but non-diabetics live that life, as well. Rebuke the guilt, rebuke the grief (after a bit), and if nothing else works be thankful that your child does not have a disease with a more detrimental outcome. I can think of many. Love you all, and praying for my Diabetic team mates! My Type 1 Diabetes story is very similar. I was diagnosed at age 7 years. At that time there was only NPH insulin and Regular insulin. No pumps, no continuous glucose monitors, no monitors period. There was plenty of hypoglycemia, some severe. Although my parents wished I did not have Type 1 Diabetes, my mother was especially thankful that I did not have leukemia (which was fatal). Despite all of this, I grew up, went to nursing school, became a Certified Diabetes Educator and received my Doctorate in Nursing. Great strides have been made in the management of Type 1 diabetes, although even greater ones need to be accomplished. This article rang completely true. I could have written it myself. My daughter is 9 and we’ve been dealing for 3 years. Thank you!!! Previous Previous post: RDSP–What was the catch? Next Next post: Diabetes is not a joke. Diabetes kills.